Flipsid3 Tactics is an eSports organization and entertainment network with ties to several video games. They not only sponsor teams to compete, but actively engage within the game communities with informative YouTube content and several podcasts. 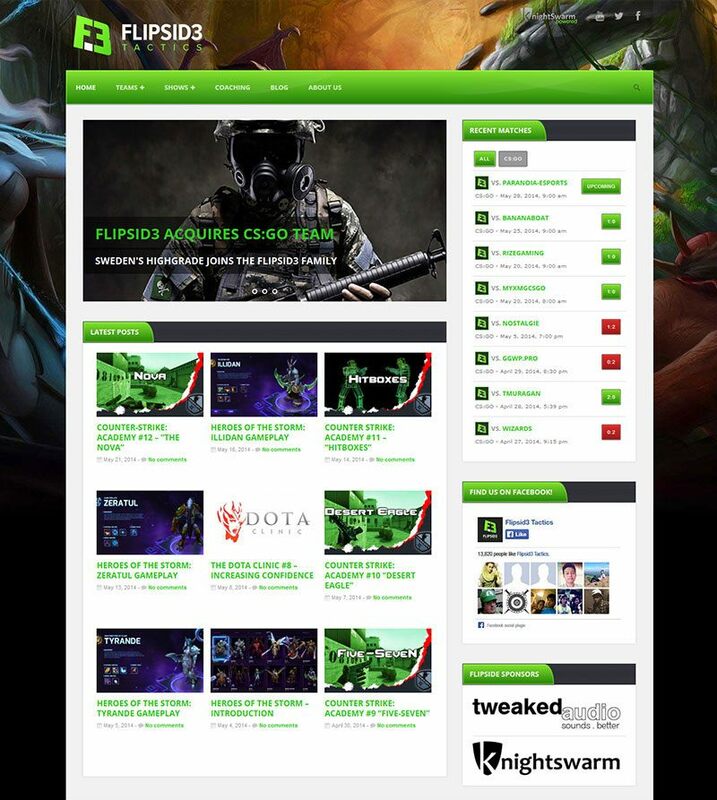 I started working with Flipsid3 around December 2013 and have built several custom WordPress plugins to meet their specific needs, from a dynamic Showstemplate that can pull recent episodes to a full staff/team roster management system.